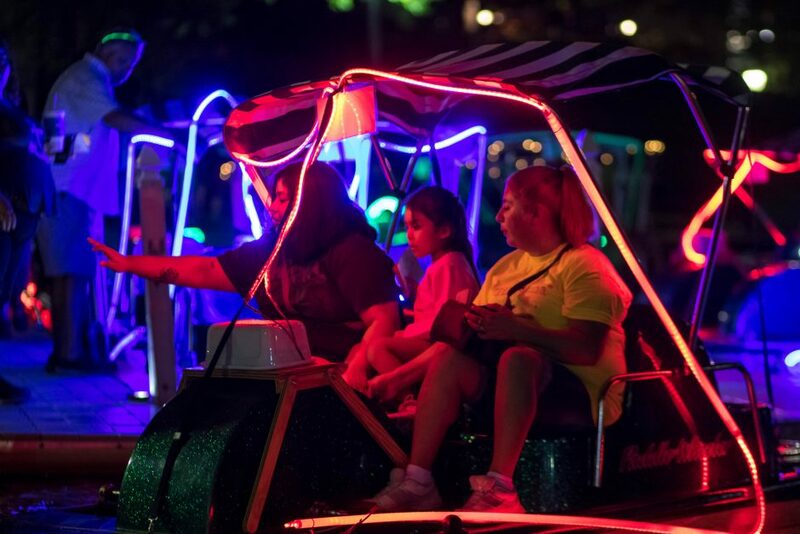 Big Car relishes any opportunity to bring art to people and jumped at the chance to be involved in IN Light IN, an interactive light festival celebrating The Indianapolis Foundation’s centennial year. 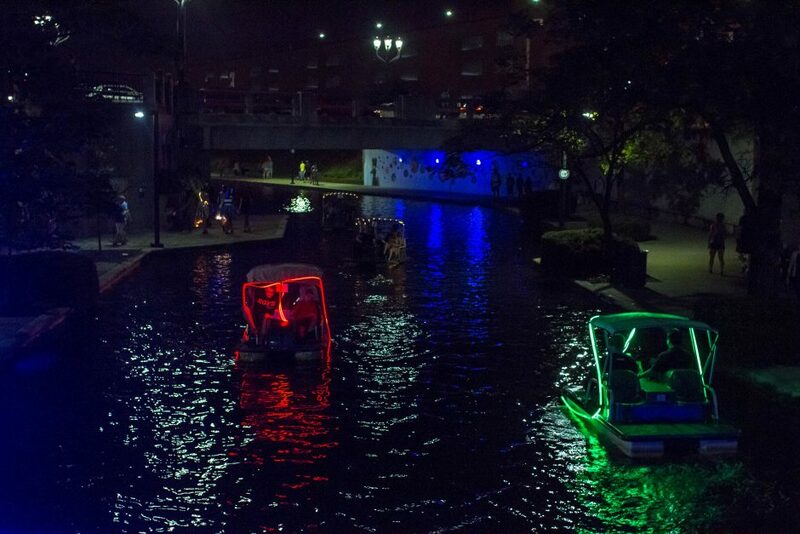 This event, which took place on August 26-27, 2016, transformed the tranquil Downtown Canal into a bustling art gallery packed with community members and bursting with light. 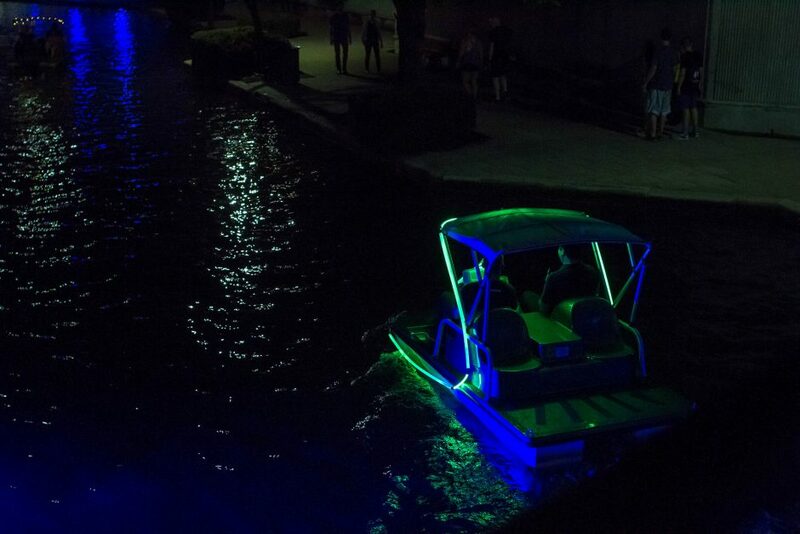 Among the over 25 projects and exhibitions on display at the festival was Big Car’s contribution, Paddlit, a fleet of paddle boats decked out with colorful waterproof LED lights. 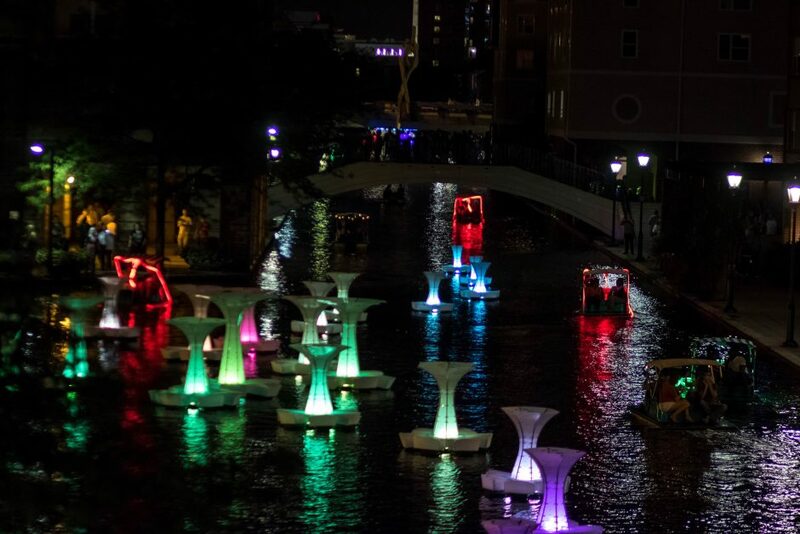 The vessels literally brought people to art by allowing them to float around the different artwork in the canal itself such as Aphidoidea’s Droplet’s Formation II. 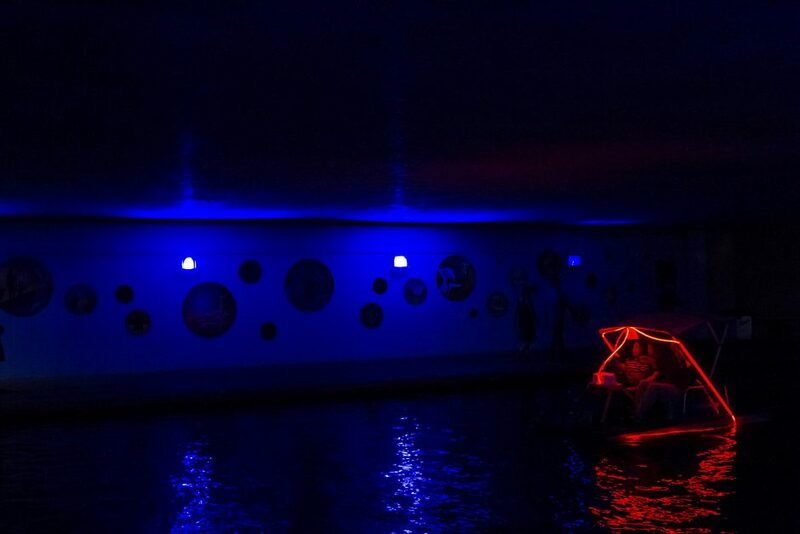 Casual viewers of all IN Light IN had to offer became collaborators and artists themselves behind the pedals of a Paddlit boat by moving the light throughout the water and harnessing the reflections from the LED lights to create an undulating, ever changing, immersive art experience of their own. See more photos of Paddlit in action here.